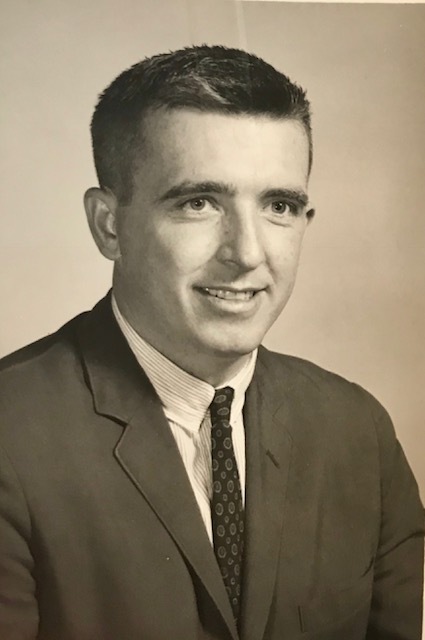 John L. Langan, 81, of Honey Brook, passed away Monday, October 29th 2018 at his home surrounded by his loving family. Known to his friends as Jack, he was the son of the late James and Agnes Langan (nee McGurk), and the beloved husband of 57 years to Marie Langan (nee Distel). He is preceded in death by his brothers; James and Edward Langan. Jack was a proud graduate of LaSalle College High School, and LaSalle University. He also served his country in the National Guard. He was a 50 year member of Saint Phillip and James Church and in that time he taught CCD, served as a lector, and was involved with Pre Cana and the Marriage Encounter Program. Jack was an avid runner and also a 40 year member of Whitford Country Club. In his golfing career Jack achieved 2 hole-in-ones (unfortunately they were not at his home course). Jack was a gifted salesman as well. Later in his career he was the president of JL Awards, an employee recognition company. In addition to his wife, Marie, Jack is survived by his children; John P. Langan (Sarah), Karen Lane (Don), and Cathleen Callaway (John); sisters Eileen Calder (Jim) and Jayne Fowler; and grandchildren Emily and Molly Langan; Jack, Allison and Juliet Lane; Anne, and Ryan and Kristen Callaway. Services for Jack will be held Monday, November 5, 2018 at Saints Phillip and James Church 107 N Ship Rd, Exton, PA 19341 with Mass of Christian Burial beginning at 11:00am. Friends and family are welcome to pay their final respects from 9:30 – 10:45am. In lieu of flowers, donations in Jack’s honor can be made to LaSalle College High School 8605 W Cheltenham Ave, Wyndmoor, PA 19038 or the Alzheimer's Association 225 N. Michigan Ave., Fl. 17, Chicago, IL 60601.